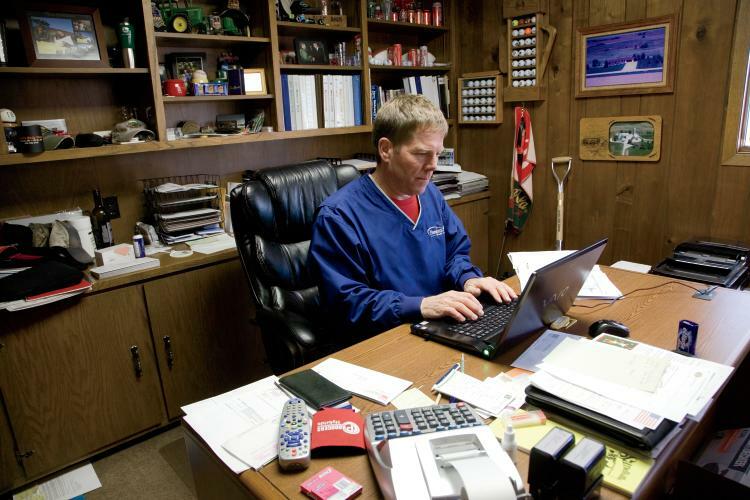 When south-central Nebraska farmer Mark Jagels hops in the tractor to plant corn each spring, he does the same thing that most of us do at some point each and every day – he flips on his computer. 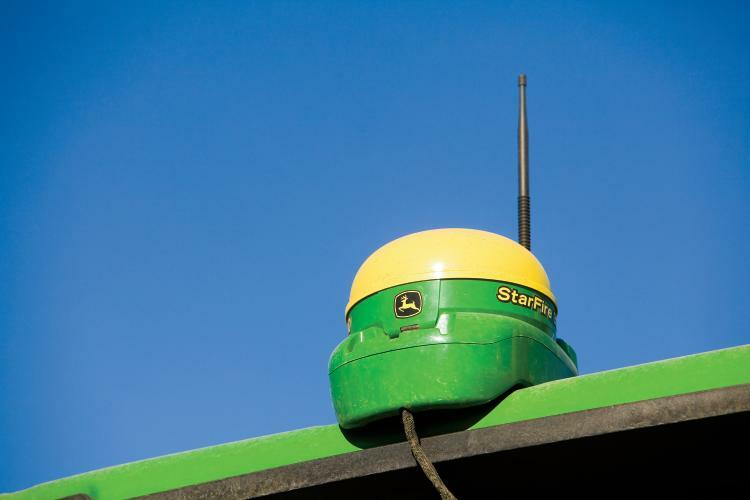 The technological advances that help you find directions to a specific destination by using your smartphone or see a satellite picture of your house online have not been lost on the agriculture industry. From planting, to irrigating, to applying fertilizer, equipment using Global Positioning System (GPS) technology and other modern advancements help farmers do more with less. Jagels, a farmer from Davenport, Neb., and Brandon Hunnicutt, a farmer from Giltner, Neb., both say they use the latest irrigation technology and auto-steer technology on their tractors and combines. 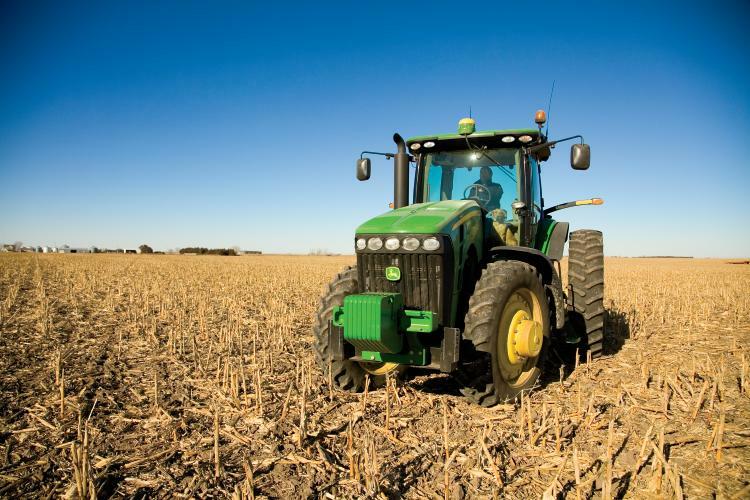 Auto-steer equipment uses GPS technology to help farmers use more precision in each pass over the field, eliminating human error that can lead to under or over application of pesticides and fertilizers. Both say they apply less fertilizer and other chemicals than the generation that farmed the ground before them. “We use as many tools as we can to really be good stewards of the ground,” Hunnicutt says. Both also use advanced irrigation technology. In Nebraska just under half of the crop acres are irrigated, and there are four major center pivot irrigation equipment manufacturing companies located in the state, including Valley Irrigation, T-L Irrigation Company, Lindsay Corporation, and Reinke Manufacturing. That means there are great opportunities for farmers and companies to work together for the benefit of both the farmer and the environment, says Rich Panowicz, vice president of North American sales for Valley Irrigation in Valley, Neb. Valley patented a relatively new technology called Variable Rate Irrigation (VRI), which allows growers to adjust the desired amount of water coming through their center pivot irrigation equipment in a particular section of a field. It is especially useful in fields with multiple soil types, and the result is more efficient use of water on farm fields across the state. Panowicz is seeing more producers practicing remote-farming by using their laptops, tablets and smartphones. Valley and other Nebraska-based irrigation equipment companies sell web-based monitoring devices that save farmers time and money, and those savings eventually get passed on to consumers, Panowicz says. Kelly Brunkhorst, director of research for the Nebraska Corn Board, agrees. Brunkhorst says new technology allows more corn to be produced and yield a more versatile crop on the same amount of land, or even fewer acres than what was used in the past. This efficiency lowers costs for everyone. Nebraska dairy farmers focus on cow health and comfort.